It’s Day 5 of our 12 Days of C is for Christmas, and since there’s only 14 days left (!!!) until the big day, we thought it’s time to share our Letter to Santa. 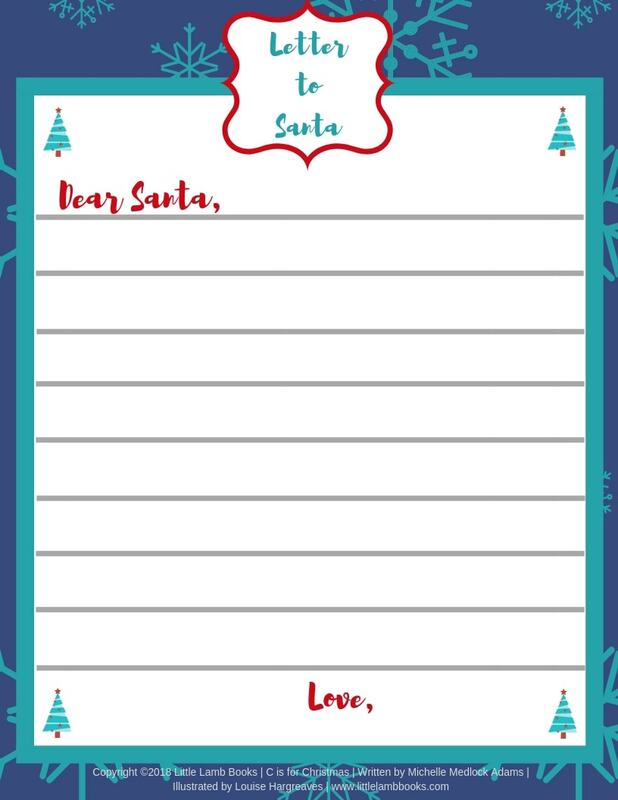 Who doesn’t love writing their wish list to the jolly, big guy and dreaming about what might be under the Christmas tree? Our fun template is a great option for young kids (and older ones too!) 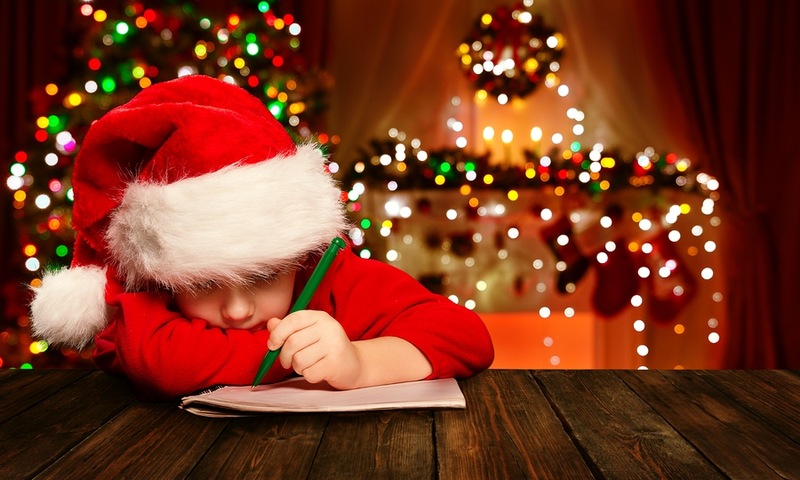 to write their wishes, dreams, and more for Santa and leave it with treats on Christmas Eve. All you have to do is save the image to your desktop and print it out when you’re ready. And, don’t forget that we’ve had an Advent calendar (Day 1), a Holiday playlist via Spotify (Day 2), a fill-in-the-blank story printable (Day 3), and, not one, but two coloring sheets (Day 4). 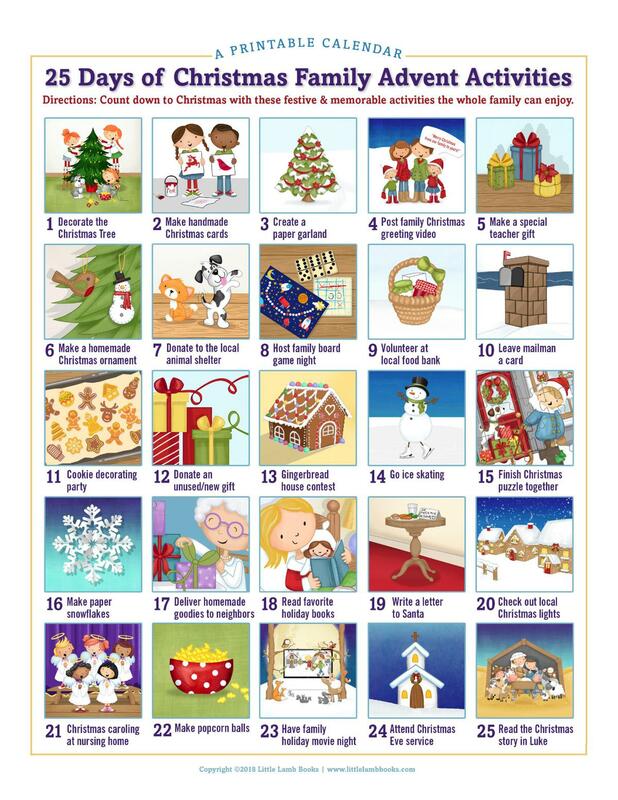 Each item on our 12 Days of C is for Christmas has been created to share with your children or students and to add joy to the fun of reading our new holiday ABC picture book C is for Christmas written by award-winning and bestselling author Michelle Medlock Adams and illustrated by the lovely Louise Hargreaves. C is for Christmas pairs scenes from the first Christmas with the traditions of today, and brings together all the very best elements of the season into a delightful read-aloud. We love how C is for Christmas mixes Mary and Joseph, the three kings, and the shepherds with family-friendly items, like Santa, yummy treats, ribbons and family visits. All of these combine to make Christmas special for families today. We know it’s a busy time of year, but if you haven’t ordered your copy of C is for Christmas yet, be sure to visit your favorite online retailer (Barnes & Noble, Amazon, Walmart, Target, etc.) and order one (or five!) today.